Prominent & Leading Exporter from Kolkata, we offer workwear coverall. 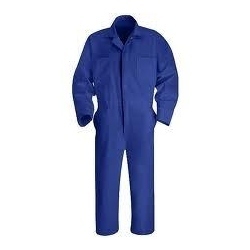 Our organization holds expertise in offering a large collection of Workwear Coverall. The Insulated Coveralls offered by us are manufactured using safe and quality assured fabric, which is sourced from the reliable vendors of the market. Owing to their complete safety and comfortable fitting, these coveralls are widely demanded in security agencies, colleges, schools, hotels, corporate organizations and other institutions. Looking for Workwear Coverall ?